01.11.2011. Training from a different perspective: During a workshop in Gnadenthal, the trainees of the Friedhelm Loh Group devoted their attention to the subject of “Disability and disadvantage”. Subsequently, they organised project days with affected youth groups. Friedhelm Loh, owner and board chairman of the Friedhelm Loh Group, praised this commitment and awarded prizes to the three best trainee projects. Once a year, trainees of the Friedhelm Loh Group get away from their usual work environments and concern themselves with social issues during a stay at Gnadenthal Abbey. The motto for this year's workshop near Bad Camberg in the Taunus hills was: "We are all different – You(th) come together!" The project addressed the subject of "Disability and disadvantage" and the task for the young people was to organise a day of joint activities with a corresponding youth group. The idea was that both sides could then better understand the other's situation. On the basis of presentations given by the trainees on Wednesday, 26th October, a jury selected the best three of a total of ten different projects. At the prize giving ceremony, Friedhelm Loh praised the commitment of the trainees and explained the motivation behind the Gnadenthal project workshops: "As an entrepreneur, you also bear responsibility for the character development of the employees – and especially for those who stand at the very beginning of their careers." Referring to the motto of the latest workshop, he gave the trainees valuable food for thought: "The activity day with disabled and disadvantaged youth groups aims to show you how giving can be more satisfying than taking. To give is to gain. You will have realised that the conditions for your career start are much more favourable than those of the young people you got to know through your project work. That is something for which you should be grateful. It is now left to you to make the best of your talents and skills. For our part, we will support you in mastering the challenges of a fulfilling career." The winning team spent their time building soapbox cars with a group of children with behavioural difficulties in a residential care facility. They received the first prize not least because "their commitment is geared to sustainable results", said jury member Dirk Sengl, works manager at Rittal. Several meetings had already taken place in advance of the project day and the trainees are now planning a new visit to help build a windmill. "The work together was great fun. We definitely want to continue our project in the future", emphasised Simon Stark from Biedenkopf-Breidenstein, who is an industrial administration trainee at Stahlo. The second-placed team chose the project title: "Being different together". They organised a day of activities with pupils from the Otfried Preussler School in Dillenburg, a special school for children with physical and intellectual disabilities. Marie-Elisabeth Swoboda, likewise an industrial administration trainee at Stahlo, was particularly enthusiastic about the pupils' positive attitude to life: "We were able to overcome all reservations in our contact with the disabled children and now meet them much more openly", she said. Together with his colleagues from the third-placed team, Rittal trainee Lukas Bergmann from Schönbach visited BliStA, the school and college of the German Institute for the Blind in Marburg. "It's unbelievable, how independently and successfully the students master their working day. If you didn't know it already, you would often not even notice that the young people there are blind." "Your presentations really impressed me", said Christoph Caselitz, Rittal vice chairman and member of the jury of high-ranking management representatives from throughout the Friedhelm Loh Group. "You have very successfully combined modern presentation techniques with the use of new media. When I think back to the presentations I gave at your age, without today's possibilities, I can only say: 'Congratulations!' If this is the future on which the Friedhelm Loh Group is building, then I am very optimistic for the years to come", he added. Second-year trainees from the Friedhelm Loh Group have been attending workshops in Gnadenthal since 2003. In 2011, 69 trainees came together in the solitude of the abbey not only to reflect on the diversity of personal abilities and opportunities, but also to discuss the factors which contribute to team success and the best means to present the results of joint project work. Evening get-togethers in the form of sporting activities and a barbecue rounded off the agenda and gave the participants an opportunity to get to know both fellow trainees and instructors in a more informal setting. 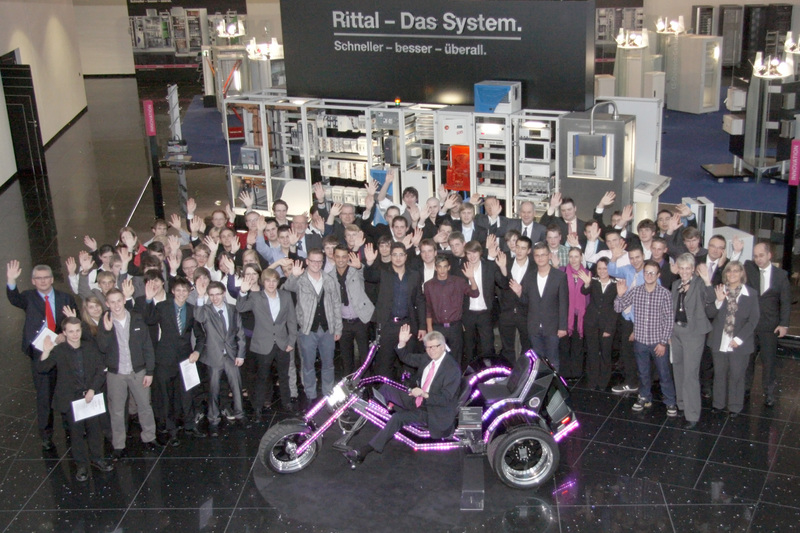 Image 1: In 2011, 69 trainees from the Friedhelm Loh Group participated in the project workshop in Gnadenthal. They are to be seen here with group owner and chairman Friedhelm Loh.